According to Feedburner, this blog now has over 500 subscribers! A big thank you to everyone for your support. It's been a blast nerding it out with everyone about all things brains and writing. This seems like a good time to step back and reflect on where to go from here. To that end, I'd like to get to know y'all a bit better and solicit your feedback. If you're reading this, please introduce yourself (or reintroduce yourself) in the comments. What stage of the writing journey are you at? (And if you're not a writer, why in the world are you subscribed to this blog?) What kinds of posts have you enjoyed the most/least, and what would you like to see in the future? I read because I think the coupling of brains and writing is natural but rare; you have a really fresh take on both things while remaining down to earth and approachable. There are a lot of blogs about writing out there and I don't read very many of them because they lose my interest. This one, however, never does. I also like that you're more about community than a lot of other writers who are active on the face of social media... so thank you! I have a boring degree in theoretic linguistics with which I do very little... but the interest is still there, and your blog speaks to that interest and sometimes makes me wonder if I would have been happier in the brainier side of linguistics rather than the languageier side of brain science. Thanks for the great blog and tweets and please do keep up the great work. I'm a relatively new reader, and just stumbled on your blog by chance. My intro was Loading the First Impression for Quick Characterization, and I was impressed by what I felt was a fairly unique take on the craft of writing. From what I've read so far, I think you're on a pretty good track. My own writing career is just getting underway, and I'm about a quarter of the way through a first novel. I've recently lucked into the position of being able to write full time for a chunk of this year, and I'm hoping to produce the first drafts of two novels by September. I read the posts because you have a unique voice. I've been writing for a year and a half and have completed two books. The first has been requested in full, read and has been recommended to an agent. She is reading it now. I believe I "met" you at one of the chats online (#litchat or #writechat) and started reading your blog. I do enjoy reading all that you have to say on brains and writing! I came to Twitter rather reluctantly but have found so many wonderful people who share their support, expertise, and friendship. So glad I did. Your blog is fun by the way. I love writing and being nerdy. It's great! I don't write for a living (well - unless if count patent applications), but I do write a little food blog called Tiny Urban Kitchen, and I'm always looking to improve my writing. I love the scientific slant to the writing life and brain stuff. It speaks to the biology degree I don't use. I'm partway through several different stories. Nothing finished. I have yet to make it past first draft stallout, (keep wanting to go back and revise, if not a complete overhaul) but I'm still trucking along trying to move at least one of the stories forward a little more everyday. It might be the hard way to do it, and agonizingly slow, but eventually I'll reach the end. I am a relatively new follower but I love how unique your site is. I'm a writer but the science section is my favorite part of the newspaper, so I just dig that stuff. I've been writing forever but am newish to creative writing. Am hoping to begin major revisions on first completed WiP this summer! Keep up the good work, it's obviously earning you quite a following! A published writer from Brazil. I discovered your blog a month ago. Following through Bloglines. As I have a longtime habit of reading scientific texts and applying them to literature, it was an automatic decision to subscribe to your blog. "Scientific American Mind" is also a good source. "[Daniel H.] Pink identifies three elements underlying such intrinsic motivation: autonomy, the ability to choose what and how tasks are completed; mastery, the process of becoming adept at an activity; and purpose, the desire to improve the world." ... correlates beautifully with the concept of flow (Mihály Csíkszentmihályi). And may be used to evaluate the present state of a character's relation with his work. Still searching for time to read your "old" posts. I'm a writer for kids, currently doing mostly drafting and some revision on an early chapter book. (We met at Kid Lit Pie Night.) I'm very familiar with the "arty" side of writing, and I'm interested to learn more about the "sciency" side! As a teacher, I find the brain a fascinating subject. It's so interesting - and knowing about it makes me a better teacher. I'm currently revising and editing the first ms I've ever written with a thought to pursuing publication. Congrats on the followers - that's wonderful! Congrats on your 500 subscribers! I'm Steph :) I started reading your blog because not only do you write YA, which is my main writing interest, but you have very interesting insight into the human psychology and the "why and how" behind the way characters act. That's something that a lot of writers SHOULD be thinking about, but it sometimes seems many don't. Howdy. I'm reading because you followed me on Twitter and since pretty much nobody knows about my Twitter account it caught my attention. I'm writing a YA novel that's in its third round of revision. It's cool to follow another Boston-area writer. You're attending workshops and reading articles that I'm not, and I like to hear what you have to say. Tiny Urban Kitchen -- Tell you what. I help you with your writing, and you help me with my cooking. Jaleh D - Nice to hear from a fellow biologist. Are you still glad you got the degree even if you don't use it? Anonymous -- Thanks for the links. I'll have to check them out. Shoshana - Yup, I remember taking the T back with you. Jemi - Cool, I didn't know you were a teacher. I was first interested in the brain from an educational standpoint too. Well, I guess I still am, since I study dyslexia. But I'm pretty theoretical these days. Amie - Yeah, it's fun meeting writers online, isn't it. A good outlet for nerdy writer jokes. maybe genius - Yeah, when you think about it, literature and psych are pretty similar in that they study people and how they act. I think I first 'heard' of you through Simon, or maybe it was Iapetus. Hmm... Don't know, it's been a long day. I'm pretty new to the blog, so I'm just now catching up on some of the old posts, but I've always been fascinated by brain function works (how kids learn to read and the whole phonics vs. whole language debate, for example). As far as where I am in the writing process, I've sent out a couple of queries for my WIP, but I think I got auto-rejected for word count (120K). So I'm doing a major hack-n-slash before querying more. I read an article you had written somewhere (can't remember where) and saw the title of your blog and had to come read it. I myself have a Bachelor's degree in Neuroscience and although I currently work in research I love writing fiction. I think you have great insights posts articles on a variety of topics and I have enjoyed reading the small amount I have read in my short time following you. Keep it up! Also, I wrote my comment without proofreading so part of it makes no sense. I swear I have great command of the english language, just not so much at midnight I guess. Haha. Sorry. I only found this place a few weeks ago. Through a Writer's Digest article, I think. I subscribed here because I've always been fascinated with the human mind, and I have a strange interest in psychology. I’m a South African student in English Lit. I’ve never actually been published anywhere, but I’m getting there, I hope. All attempts at a novel usually get scrapped at chapter 2. I look forward to seeing more, hopefully improving my writing along the way. Hm. I'm glad I have a degree in anything. Some jobs want any kind of 4-yr degree. So, far the jobs I've found for biology require being in a lab (didn't like that for my classes) or coursework I didn't have access to. History, especially ethnology, has been more interesting lately. But between the science textbooks I've saved, plus my husband's anthropology, history, and archaeology texts from his degree, and our assorted low tech, applied tech, and how-to books, we are set either the apocalypse or colonizing another class M planet. Or writing a story about either one. Like Jaleh, I have a degree (BS) in biology I'm not currently using, along with an MA in German literature. (So I'm qualified to be what, exactly? -- a writer, of course!) I've co-authored a nonfiction book and I'm editor in chief of the webmagazine Tales from a Small Planet. I also translate professionally. But my real love is reading and writing science fiction stories. Thanks for your fascinating blog, and congratulations on reaching 500 readers! Hi, I love your blog. I just found you the other day, this is exciting, this is like one of my first comments in blogging land. I am a senior citizen, stay at home mom for our entire almost 39 year marriage, eager to learn all I can about writing, copywriting, marketing, web design, anything related to making a living on the internet. We appreciate your efforts. I'm not a writer. I've just been play-acting for the notoriety, y'know. I follow your blog because of the occasional steam neuroscience love scenes, which I think you should post more of. That's my only recommendation for the future. You're welcome. I'm in revisions on my first WIP in preparations to query and rough drafting the 2nd WIP. I've been around for awhile and comment occassionally. :) I've written two books (one of those thrown under the bed) and several short stories. I'm editing my second novel and preparing it for the query process sometime before the end of the year. Jami G - For what it's worth, I'm definitely pro phonics. Raphael - Nice to meet you. A friend of mine lived in South Africa for several years. Michele - Welcome to the blogosphere. Good for you for learning all about this web stuff. Simon -- I charge for additional Neuro love scenes. lotusgirl - good luck with querying! DL - Good luck with querying as well! I'm hoping to be able to query by the end of the year. I think either Simon Larter or Davin from Lit Lab sent me over here. You've got a great blog, and wow at all your followers! I'm a writer with lots of ghosted novels published and now I'm represented under my own name. As writing is my job as well as my passion I'm interested in what helps or blocks me. I also critique writers, published and unpublished, and see that a lot of the time they are making life more difficult for themselves than they need to! 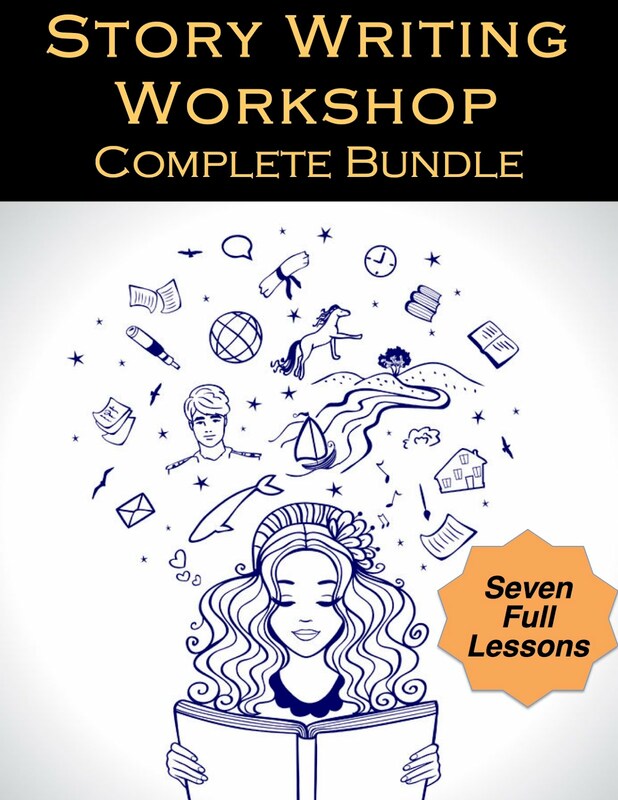 I blog about this and have written Nail Your Novel, a methodology for novel-writing, which uses all sorts of tricks from project management to cognitive behaviour therapy and sports psychology. 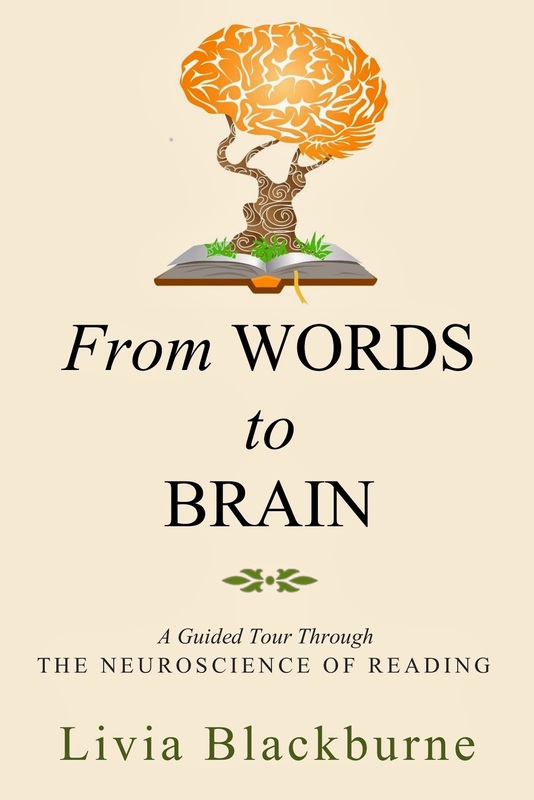 Preamble over - your posts on the brain science aspects of writing are exactly up my street! Quite often you've unearthed some interesting piece of psychology or brain science that has given me an aha moment! I write for a local women's magazine. My current WIP is a drama set in a coffee shop. I have a novel in the works, but I have shelved it for now. I have four sons, 16 piano students, one cat, and many nurturing friends. Lady Glamis - Good for you! I'm always a fan of fantasy. And it's a good choice to self pub the novella -- those seem hard to sell. dirtywhitecandy -- ghostwriting seems like an interesting process. What's it like? Mary - If you add up your sons, students, and cat, you get 21. Which seems like nifty number somehow. YES - Simon has been responsible for many things it seems - I came over from his blog, too! As others have mentioned, I love the combination of brain and writing - absolutely essential when sculpting characters. CONGRATULATIONS on your HUGE following! You deserve it you brainy person - you! So, I just found this blog out, but it seems I might not be too late for the call of introductions. True, I've read two articles as of now, but I believe I will stick around. Why? Well, I'm currently studying in Biochemistry and was brought there by my love for neuroscience. Plus, I spend all of my free time writing. You CAN'T title something "A Brain Scientist's Take on Writing" without having me hooked. Claudie -- Well, there's plenty of room for good biochemists in neuroscience :-) Welcome! I'm a new reader to your blog, and fascinated by your new approach to writing. I'm a journalist and business writer by day and an aspiring novelist by night, so am really interested in both your fiction and non-fiction posts. As you know, I write YA as well. My fascination with your field and your unique take on writing is its flip-side view on human nature. What most of us think is a mysterious reaction could actually have a basis in biology, or something...? :) Really, I just think it's cool because I love to learn. Thanks so much for this blog, Livia. Even though I may not comment as much as I should, I read every entry. Enjoy your thoughtful integration of science and syllables. Similarly, each of my professional loves has greatly informed the other: songwriter/musician, management consultant/speaker, and Ph.D. psychology/neuroscience. However, I've learned most from my wonderful wife and daughters - my steps are forever happier knowing theirs. To observe and be a part of the wonders of life is truly a gift, and writing seems such a natural way to share. Working on a novel, children's books, and country/pop/rock tunes that reflect travels from petri to Peoria, lysome to London, and many discoveries inbetween. Wishing you joy on your journey. And thanks for sharing your helpful insights along the way. I only just joined your fan club. Like you and several other posters, I have a degree in science, and was studying medicine when I decided to drop out to become a winemaker. I never quite made it to UC Davis, taking a detour into journalism, and writing about wine, food, and the arts in the early 1990s. I was building my career nicely, and happy with how it was working out. Cue the ominous music. I developed a mysterious illness that was characterized by daily migraines — and a host of other problems — and it literally stripped the ability to write from my life. With one or two exceptions, I wrote nothing of consequence for 14 years. In 2006, I found a neurologist who knew exactly what had caused the unending years in purgatory, and he put me on the road to recovery. When the physical pain subsided, I discovered the plots for two young adult novels waiting for me, like a gift. I’ve only recently been able to free up time to write the first, and hope to have a polished first draft (I know, a contradiction in terms!) by the end of June. And then, after rewriting and revisions, we’ll see. I’m not the writer I once was — my work needs way more fine tuning than it used it — but I see signs of encouragement here and there. I’m blessed in having the world’s most gifted editor at the computer right beside mine in our little home office. I’m here for the intelligence of the conversation, and for the community (which really seems to matter to you). It would be cool to connect with other, like-minded YA writers. So I’d tell you to keep doing what you’re doing, and I’ll keep reading happily. Charlotte - I admire people who write both fiction and nonfiction. It seems like it'd be good for keeping well balanced writing muscles. Andy -- Dang. You're a true renaissance man. Richard -- that's an amazing story. I'm glad the neurologist was able to help you. Good luck with your writing!